Consulting Engineers South Africa (CESA) is a voluntary association of Consulting Engineering firms with a member base across the country totaling in excess of 560 companies. CESA is the custodian of the wellbeing of the industry supported by member firms who employ approximately 21 000 people. CESA members are compelled to subscribe to upholding the integrity of the industry by adhering to a professional code of ethics providing quality and cost effective professional consulting engineering services. The organisation serves as a channel for Clients to address industry concerns while at the same time providing a platform for the sharing of information with the aim of assisting in optimising the planning and delivery of infrastructure projects both in the public and private sector. Consulting Engineers South Africa (CESA) and the National Treasury is hosting a seminar from 28 February to 01 March 2017 at Birchwood Hotel & OR Tambo Conference Centre, as part of a series of nationwide seminars to enhance and improve Public Sector procurement in the construction sector by designing a procurement system that is better able to deliver value for money, while minimizing the scope for corruption. This year will see Consulting Engineers South Africa (CESA) take the lead in transforming its membership and industry. Consulting Engineers South Africa is hosting the 24th FIDIC-GAMA 2017 Conference in South Africa, at the Cape Town International Convention Centre. The conference will connect leading global players and partners in the infrastructure and consulting engineering sector to create innovative sustainable solutions and business opportunities. 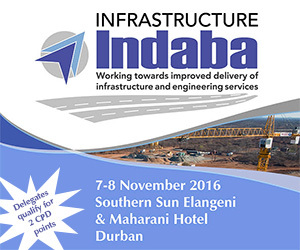 The Annual Consulting Engineers South Africa (CESA) Infrastructure Indaba was held on the 7th and 8th November 2016 at the Elangeni Maharani Hotel, in Durban. Induna Training along with CESA has compiled a South African first – a fully online Comparing Construction Contracts Course. The fast-paced construcon industry is exposed to different contracts depending on which project they are working on. This online course material, provides the opportunity to those that are currently working in the built environment to have the contract informaon that they need, at their fingerps. The Consulting Engineers South Africa (CESA) Bi-annual Economic and Capacity Survey for the period January to June 2016, just released indicates that times remain tough. Confidence levels amongst firms have deteriorated over the last few years, alongside modest increases in fee earnings. The outlook for gross fixed investment has deteriorated and expected to fall behind GDP growth in the next three years. 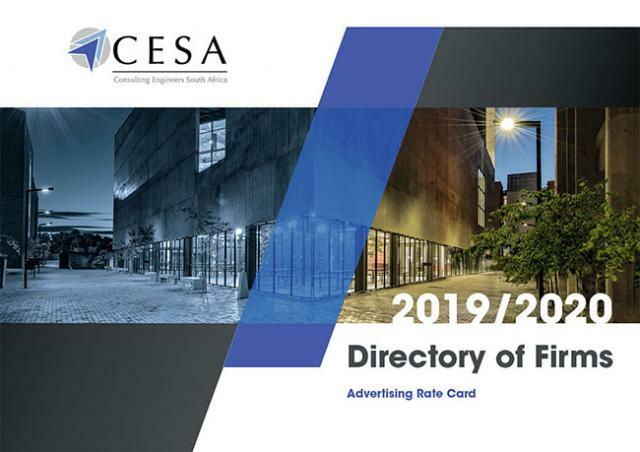 Over 537 firms employing just over 24 315 staff, who collectively earn a total fee income of R25 billion per annum, are members of CESA. Three key factors continue to influence the global outlook - these are the gradual slowdown and rebalancing of the Chinese economy; lower prices for energy and other commodities; and the gradual tightening of US monetary policy. Consulting Engineers South Africa (CESA) will be hosting its Annual Infrastructure Indaba, a tripartite alliance between the 3Cs (Consulting Engineers, Contractors and Clients), all working together to improve the quality of services, our industry has to offer. This annual conference has each year been endorsed by the Minister of Public Works, the Honourable, Mr Thulas Nxesi, MP, who is also its host, since the inaugural conference in 2013. Registration for the 2016 Conference & Exhibition is now open!